Solstice – every day's a holiday! There’s more reason to celebrate this time around, in this seasonally-affected author’s opinion: this solstice marks the longest day of the year rather than the shortest. The changing of the seasons is due, of course, to the 23.5 degree tilt of the earth’s axis, a tilt which we in our everyday lives take for granted, but which has accounted for the framework in which plant life evolved on our planet, as well as for the traditions, rituals, and way of life of our species until the very recent past. It’s only in modern times that the solstices completely lost their rep as two of the most badass days of the year. Summer Solstice was called Midsummer’s Day, marking the middle of summer rather than the beginning. Shakespeare’s fantastical Midsummer Night’s Dream alluded to the carefree, hedonistic days of late June and to England’s own not-to-distant pagan past. In those days, however, the solstice fell on or around June 24 because of an inaccuracy in the Julian calendar. The calendar drifted from the solar year at a rate of about one day per century until the UK adopted the Gregorian calendar in the 1700s. Even today many countries still celebrate Midsummer Day and Night between June 23-25. Today the sun reaches its northernmost point in the summer sky before beginning its long trip back south. To ancient eyes it appeared the sun was moving, not the earth. The word solstice comes from the Latin words sol and sistere, meaning “sun stands still”, as it appeared the sun, having reached its apogee, stood still for one day. Superstition has it that whatever you’re doing on New Year’s Day is representative of how you’ll spend the following year, but I disagree, as most people don’t spend the entire year in bed recovering from a hangover. No, it’s how you spend your solstices that are foretelling of how you’ll spend the next six months. So have yourself a Super Solstice, go to the beach, light a bonfire, roast some marshmallows, kick back a few whatever you like to drink here (Sol cerbeza? ), and save one for the author. Catch ya on the next trip around the sun. On the longest night of the year Iranians around the world celebrate Yalda. 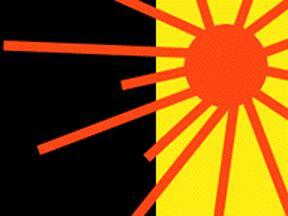 It means “rebirth”, referring to the rebirth of the sun. Today is also the first day of the month of Dey. The history of this celebration goes back almost to the dawn of civilization itself, when the ancient Aryan tribes of the central Asian steppes worshipped the sun as the source of life. As these tribes migrated to Persia–as well as to parts of India, Europe and the Far East–they took their traditions to a new latitude. The sun-as-benefactor was a notably different view than those held by cultures of the Arabian desert, who were bombarded with the sun’s heat and thus envisioned hell to be a place of fire and flame. It is not an act of worshipping fire. You make a fire from bundles of thistles and thorns, then jump over them with joy and enthusiasm. You become mixed with an element of nature, dance with its flames and absorb its kind of warmth. You do not think of an abstract God who is sitting on a thrown somewhere in Heaven and expects you to suppress your joy and behave in his ever lasting and expanding presence. As Rome moved eastward to Persia, and as Persian soldiers were captured and brought back to Rome, a curious cultural exchange occurred. The Roman army–and with it a good segment of the Roman population–were exposed to and absorbed the ideas of Persian Mithriasm. 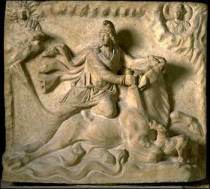 At one point the worship of Mithra reached all the way from Spain to India, although the practices in the Roman Mithraism, such as bull-related rituals and imagery, bore little in common with the Mithraism of Persia. Persia experienced a long, slow conversion from natural pantheistic religion to abstract monotheism. Followers of Zoroaster, believed to be the first monotheistic religion, exalted Ahura Mazda as the one true divinity. Mithraism and Zoroastrianism coexisted in Persia for over a millennia, often melding and merging. It wasn’t until Roman Empire adopted Christianity as the official religion that the Persian Empire–which had rejected the idea of a state religion for over a thousand years–sought to increase its power by institutionalizing Zoroastrianism. During the Arab invasion from the West 1400 years ago, Islam replaced Zoroastrianism as the religion of Persia. But Persians maintained their local languages, customs and many of their traditions. The reemergence of Yalda is a relatively recent phenomenon. It has occurred mostly in the past 25 years, since the Iranian Revolution of 1979. Many Iranians, both in Iran and abroad, seek to reconnect with thousands of years of tradition and history. These traditions include the celebration of the birth of Mithra, observed on the winter solstice. 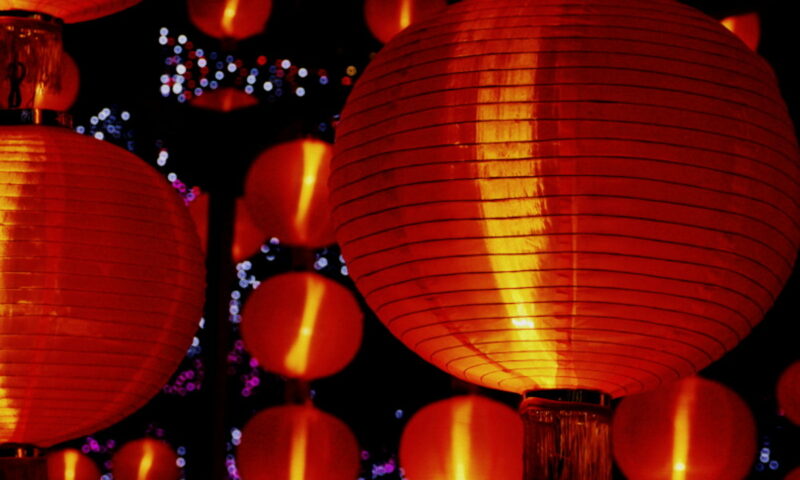 Just as the darkest hour is before dawn, the sun god is reborn precisely during the year’s longest night. in that pitch black of night I drank from the water of life. I drank of that cup of light, glorified in nature. What a glorious morning, what a glorious night! is the house of love. And of all the annual celebrations on earth there is none older and more universal than the celebration of the Winter Solstice. Many of the world’s oldest monuments, which for years baffled anthropologists and archeologists, are now believed to have functioned as massive calendars that predicted the winter and summer solstices with astonishing accuracy. 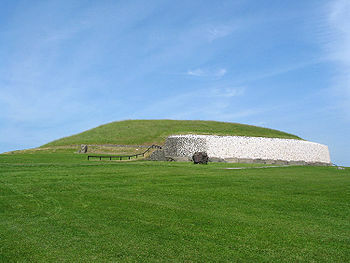 From Newgrange in Ireland and Stonehenge in England, both of which predate the Druids, to the Chankillo towers in Peru built 1700 years before the Incas, to the 365-day calendar used by the ancient Egyptians. All of these calendars were used to make sense of and to find meaning and patterns in an otherwise mysterious and unpredictable world. The word “Yule” used in Germanic and Norse countries comes from “yula” meaning wheel, referring to the cycling of the seasons and the wheel of time. The term predates Christianity, but today yule-tide greetings are synonymous with the Christmas season. The word Solstice comes from the Latin words “sol”, or “sun,” and “sistere”, meaning “to stand still.” The Solstice is the moment at which the sun stands still. Winter Solstice marks the longest night and shortest day of the year, and it usually falls on December 21 or 22. From that night on forward the ancients knew–or prayed–that the days would grow longer and warmer, providing for sufficient harvest and plenitude the following year. As early as 2400 BC the ancient Egyptians worshipped Osiris, the god of death, life and fertility Osiris during the solstice. It was the day on which he was said to have been entombed and reborn. This tradition was echoed in later Greek ceremonies paying homage to Dionysus. The ancient Romans celebrated the solstice with a week-long festival called Saturnalia, honoring Saturn, the god of agriculture. The symbols they used included holly and wreaths, and it was a time of exchanging gifts. The Druids called this time Alban Arthan, the Light of Winter. 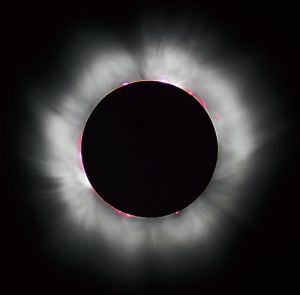 Although it has also gained the interpretation Light of Arthur by the poets, harkening to the legendary king who was associated with the sun and believed to have been born on the Winter Solstice. In the Norse lands on Yule’s Eve a boar was sacrificed and its meat used for the holy feast. Those who could not afford to do so, broke a boar-shaped loaf of bread in its place. So have a great Yulstice! Yule be glad you did! In Sweden and in Swedish communities in North America, thousands of girls will don the traditional white dress and red sash to take part in Lucia Day. Atop the heads of many girls will burn candles in a special crown worn for the holiday–although in Sweden most candles used these days are the battery-powered kind, due to–as the Swedes have discovered–the highly flammable nature of girls’ hair. The crown of candles shines a light of hope during the darkest nights of the year, which in Sweden can be about 23 hours long. Saint Lucia was a young Christian who lived in Syracuse, Italy during the time of Diocletian–the infamous persecutor of early Christians–in the late 3rd century. When her mother became ill, Lucia prayed for her. Upon her mother’s recovery Lucia took a vow of chastity and gave her dowry to the poor, thus earning the rancor of a particularly vindictive suitor. Some stories say the angry suitor outed her as a Christian in court, which then ordered her execution. Other stories say the suitor tried to kill her himself. Either way, they tried to kill her by fire, but she would not burn. Her eyes were poked out (some say she poked out her own eyes and gave them to the suitor) but new eyes grew back in their place. Men and oxen tried to drag her from the town, but she could not be budged. Finally, on December 13, 304 A.D., the angry suitor stabbed Lucia with a sword in the neck and killed her. She was 20 years old. Another legend tells of St. Lucia helping the ancient Christians in the catacombs, where torches were needed to navigate the dark tunnels. To keep her hands free to bring more food and drink, Lucia attached candles to a wreath she wore on her head. So how did this Catholic saint from Italy become the heroine of a Protestant country in Scandinavia? It may have to do with the date. Back when Sweden was Catholic and used the Julian calendar, Lucia’s feast day, December 13, was the longest night of the year. In pagan times the winter solstice was considered an ominous night to be out, when trolls and supernatural spirits wandered the earth. 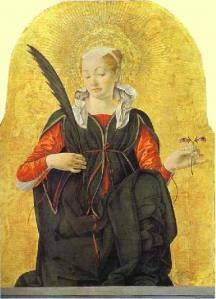 Lucia, whose name means light, became a symbol of the victory of light over darkness. 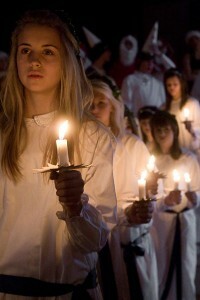 Today, Swedish towns hold pageants to pick the “Lucia Bride”. Rituals similar to Luciatagen have taken place in Sweden in one form or another for over a thousand years, but it wasn’t until the 1927 Lucia procession in Stockholm, organized by a local newspaper, that the tradition as we know it spread throughout Sweden and Swedish-speaking Finland. Lussekatter, or saffron buns, are a staple of the holiday. Made with one of the world’s most expensive spices, saffron dough is filled with cinnamon, sugar, raisins and chopped nuts. The oldest (or youngest) girl in the family serves these goodies. A more recent Lucia Day tradition is to wake up unsuspecting Nobel Prize winners sleeping at the Grand Hotel in Stockholm. The Nobel Prize is awarded three days earlier on December 10.